Launching the NEW DENAS PCM 6 for the first time outside Russia. DENAS PCM 6 launch starting at minute 40 with details of the latest now automated DENAS, the professional accessories and training options and new automation and children’s settings explained. 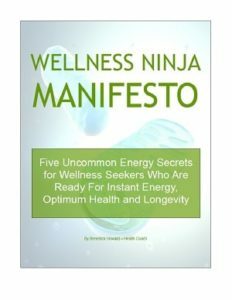 The 6th Secret of the “7 Healing Secrets of Electricity” revealed: details of the life giving Pharmacopoeia of Neuropeptides and their amazing benefits on the body to balance and rejuvenate. Learn how microcurrent stimulates your body to naturally heal itself, by charging low energy areas with electricity. 00:13 Are you on the fence? The new DENAS PCM 6 is a leap ahead of all other handheld microcurrent devices that displays preset treatment sequences for a wide range of conditions. This is a first in the 30 year old industry of SCENAR DENAS ENART and Avazzia types of microcurrent stimulation. DENAS MS has now made over 2.5 million devices, more than all the other SCENAR type manufacturers combined and are leaders in innovation like the VERTEBRA and the 10 year old DENAS PCM evolution from the early chunky designs to the sleek looking (and feature rich) PCM 6. Click to order the new DENAS PCM 6 and the favorite accessory - the acupuncture probe, then you can upgrade your order to the professional kit and 5 week Ninja 1 training. the first microcurrent choice for professionals and personal family use. 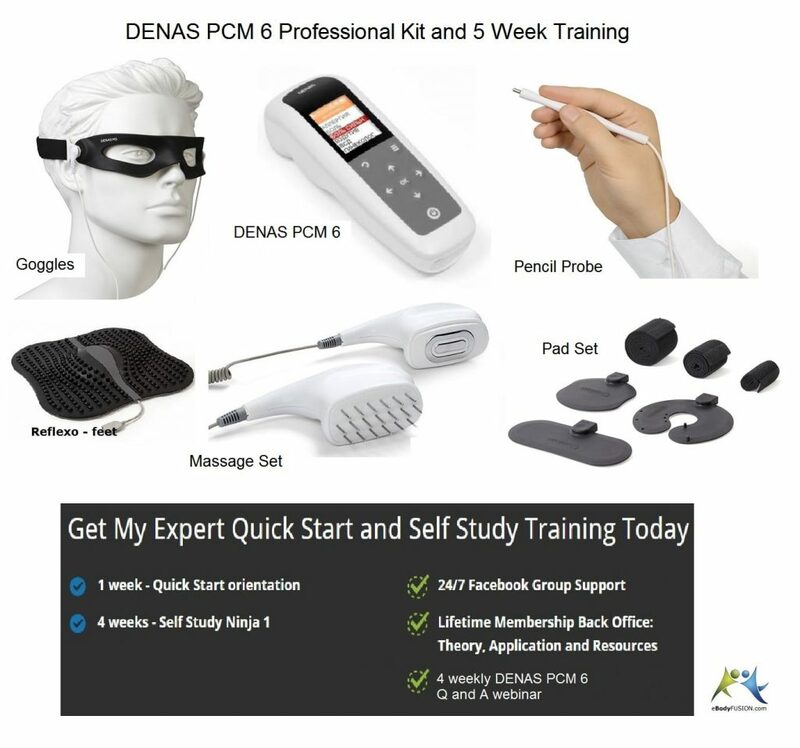 8 replies to "eBodyFUSION Hangout Webinar DENAS PCM 6 launch – June 2016"
The items you saw listed in the video are all part of the DENAS PCM Professional Kit and 5 weeks of training. Click the link and save $1626 when you upgrade to the Professional Kit and 5 whole weeks of the NEW DENAS PCM 6 training, 24/7 Facebook support, email reminders, back office videos, weekly Hangouts that will maximize your chances of solving your pain and boosting you energy. Oh, as you are looking for training maybe complete the Assessment first, tell me your needs and we’ll take it from there. PS I could not put the final price in the video because it will be listed forever and we have a special going on this month to promote the launch a $1626 savings. You can get those savings right now for a very limited time. Your videos don’t provide enough information on how to use the product unless you get paid thousands of dollars to provide real training. Training is not the purpose of the monthly Hangouts and FYI training starts at $97 for the DENAS 7 Day Training. How does the body not just adapt to the electrical current stimuli ? Does it have a varying current pulse? I’m a biologist and it I’ve seen organisms adapt rather quickly to the point where as a fixed rate of current/wavelength/stimulus is rendered ineffective in a short period of time (Sometimes in as little as 5-10 times of repeated exposure). See the 7 Healing Secrets of Electricity sections in the monthly Hangouts, I explain it there. thanks for your mails and trainings. – and why in the world would I RISK my business by promoting anything that’s gonna kick me back in the face later on. I base my opinions, and they are my opinions only, on 14 YEARS learning about these units, working with clients under extreme conditions and developing new models of application techniques, training and integrating it into wellness coaching and for DCs, MDs, LMTs, for gold medalist coaches, busy executives and for regular folks all over the planet. Prior to that in 1987 I engineered sacred geometry sound activated healing environments, discovered whole new ways of using tactile sound on thousands of clients, measured their responses and from that data created training protocols, these too went all over the planet. I found out about microcurrent as SCENAR at a chance dinner in a pub in London. It sparked in me (excuse the pun) a keen interest in the nuances of the effects direct microcurrent electrical stimulation of the body vs the tactile physical vibration of the sound environments. Back in 2000 little was out about the clinical trials on 18,255 people. When I came across the summary in the SCENAR training manual, BAM. I thought, this is remarkable. So I used both microcurrent and sound in my busy healing practice in London, studied etc, etc., and a year later trained with Professor Revenko with the RITM 1 NT you see in the June eBodyFUSION Hangout video. Why in the world would I even consider risking my reputation by promoting inferior products. A few people out there who don’t like DENAS, maybe you are one of them? And that was me too. One day ~ 2006-7 a client who I had helped with thallium poisoning came to me and said get one of the less expensive DENAS and test it out. We did, he was delighted, and an expert himself in electrotherapy that he had used to prevent atrophy. So I tested them against the RITM 1 NT, and for the price I was BLOWN AWAY, and so were my clients. Created training programs, refined them over the years and now, we’re about at the 6th edition of the original online training for the PCM 6. But in 2010 it suddenly changed overnight. SCENAR USA closed all my websites down overnight. In 2015, I did a youtube video called “RITM SCENAR Rant and why buy a SCENAR” , check it out. Long legal story but I am back, and now personally have a personal awareness of the energies behind RITM in particular and the fiasco that has surrounded them for years. For a product so fantastic, what was sabotaging their success, who would do such a thing? Follow the money. So again, why would ANYONE in my position and experience, with a mission to change the face of medicine, be messing with people on pain and hiding the truth? I consider it my sovereign duty to you to tell you honestly. As for pricing you can get amazing results for under $400, so long as you take the time learning how to use any device and apply it consistently. Test it out, you can invest more later when you know what you are doing, and more importantly you will know for yourself. Hesitating on the fence in pain gets really uncomfortable for you and or your clients. If you really want the long term results it takes a mindset and discipline and that’s were my training and coaching are designed to get you off the medical treadmill.